Star Wars Stormtrooper Army Men | Nerd Much? Remember that bucket of little green Army men we all played with as kids? Those were cool, right? 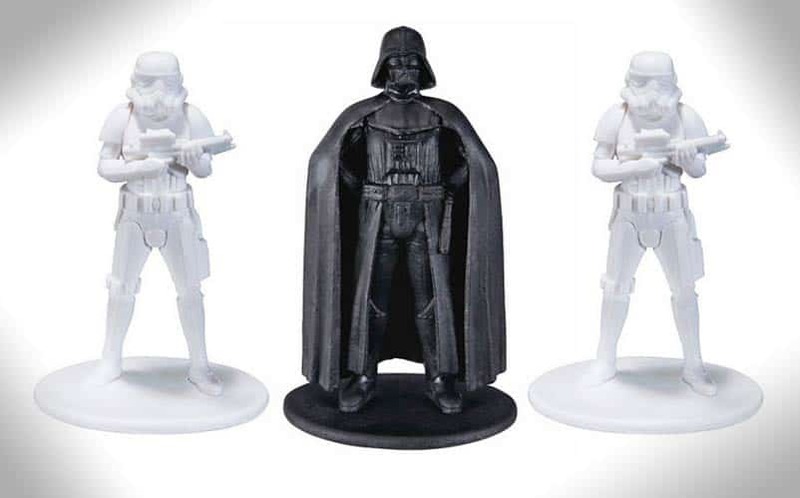 Well, prepare to be blown away by something even cooler: Star Wars Stormtroopers Army Men. Not only have the green army men been replaced with white stormtroopers, including a tiny Darth Vader to lead the troops, but the bucket has been replaced with a Death Star-themed container. Awesome. In fact, we don’t even care that they don’t have any points of articulation or sound effects. We can’t wait to tie little parachutes on them and send them off of the roof. Unfortunately, it appears to only be available in Japan at the moment. Hopefully, these little guys will make their way to local markets soon enough. Hat tip to Toyland for the find. For more cool Star Wars stuff to buy, stay tuned to Nerd Much for daily finds.